The more than centennial, popular and global cubes of broth Maggi season the latest work of the Spanish artist Antoni Miralda, an installation with which today he paid tribute to the diversity of Miami and its cuisine. “The Maggic Banquet”, a word game about Maggi, the surname of the Swiss Julius Maggi, who was the first to market these dehydrated broth cubes that have given flavor to an incalculable number of soups and other dishes since the first decade of the twentieth century, took place in Little Haiti, the Haitian neighborhood of Miami. “Miami has a wonderful mix of people,” said Efe Miralda, born in Tarrasa (Barcelona) in 1942 and interested from his beginnings as an artist in exploring the world of food, so much so that many of his works have or have had edible parts . Also this time the public took to the mouth the art of who dared to marry the monument to Columbus in Barcelona with the Statue of Liberty in New York in The Honeymoon Project (1986-1992). 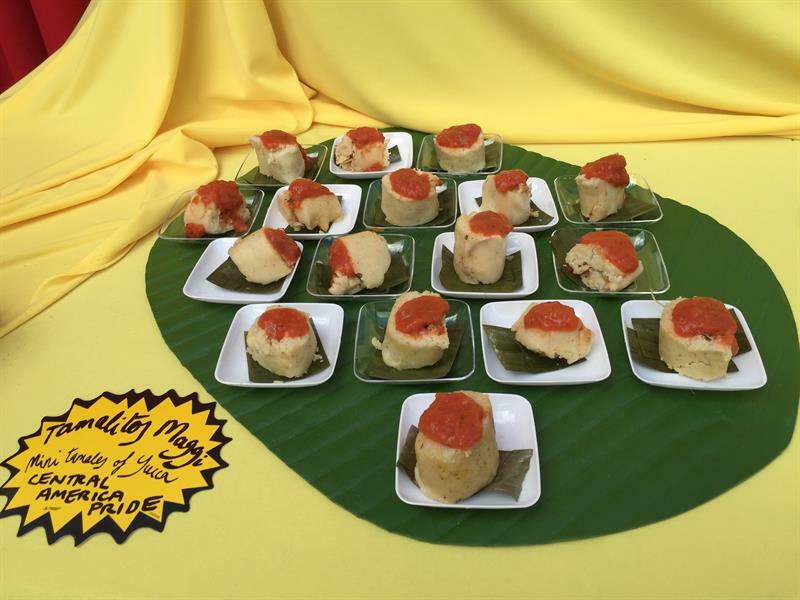 For “The Maggic Banquet” the cook José Casals and students of the Culinary Institute of Miami prepared a variety of dishes representing the multiple ethnicities and origins of the inhabitants of Miami, “all very good,” according to Miralda. The “mini tamales de yuca”, the “pan challat”, the “pozole soup”, the “onion dip” and the other dishes presented in a “buffet-altar” decorated in red and yellow, the colors of Maggi, were all seasoned with cubes. “‘The Maggic Banquet’ is a reflection on the permanent concerns about the ever-changing relationship between human beings and their food, understanding that the relationship goes beyond the cultural aspect,” says a statement from the Museum of Art and Design (MOAD). Miami Dade College (MDC), who commissioned this work to Miralda for her artistic program Living Together. In a statement to Efe before the presentation, Miralda stressed that the “calditos”, as they are also called in Spanish, are everywhere and they all look the same, but the reality is that they are not. Taste varies according to regions or even countries. Miralda, who has resided long years in Miami and now lives on horseback between this city and Barcelona, ? ?says that in the grocery stores of the Miami area where she lives, cubes made in Guatemala predominate, but if one searches, she can find other countries. In the global showcase of Amazon there are for all tastes: made in Nigeria, in Egypt, in this case “halal”, which means that the chicken used was sacrificed as mandated by Islam, in China, in Haiti or the United States, and also chicken, beef, vegetables or others. And unlike those manufactured at the beginning of the 20th century by Julius Maggi, who, according to Miralda, was a philanthropist who wanted to help alleviate the hunger of humanity with something cheap and easy to prepare, they all have a lot of sodium and chemical components between its ingredients. What Miralda explores in its “buffet” is the commercialization and globalization of food, as well as tradition, identity, the “memory of taste” and eating habits, says a presentation text of the work. The project has not ended for more than the food of “The Maggic Banquet” was finished today, because the second phase is an electronic “fanzine” that will gather your research and the contributions of other scholars about the Maggi, including an essay by Stephan Palmié, Professor of Anthropology at the University of Chicago. Miralda, who created in the year 2000 FoodCultura, a project that consists of archives, collections, exhibitions and events around the world about the diversity of food and its relationship with culture, has asked the community to help gather a wealth of information about “the history, the uses and the knowledge of the Maggi cubes, as a product and as a brand”. “We are interested in materials and information about this product from anywhere in the world and in any language, images of product packaging, posters, advertisements and billboards, as well as published articles and recipes and images of cookbook dishes that include cubes of Maggi as an ingredient, “he says.